A warm summer's day flies past as we look at beautiful big sunflowers with dandelions flying by. A warm and serene summer scene. You will love this video loop as a motion background, a great choice to add this video to your library. 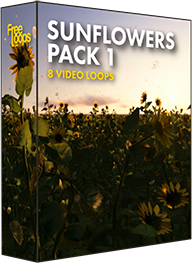 This video loop is part of Sunflowers Pack 1.